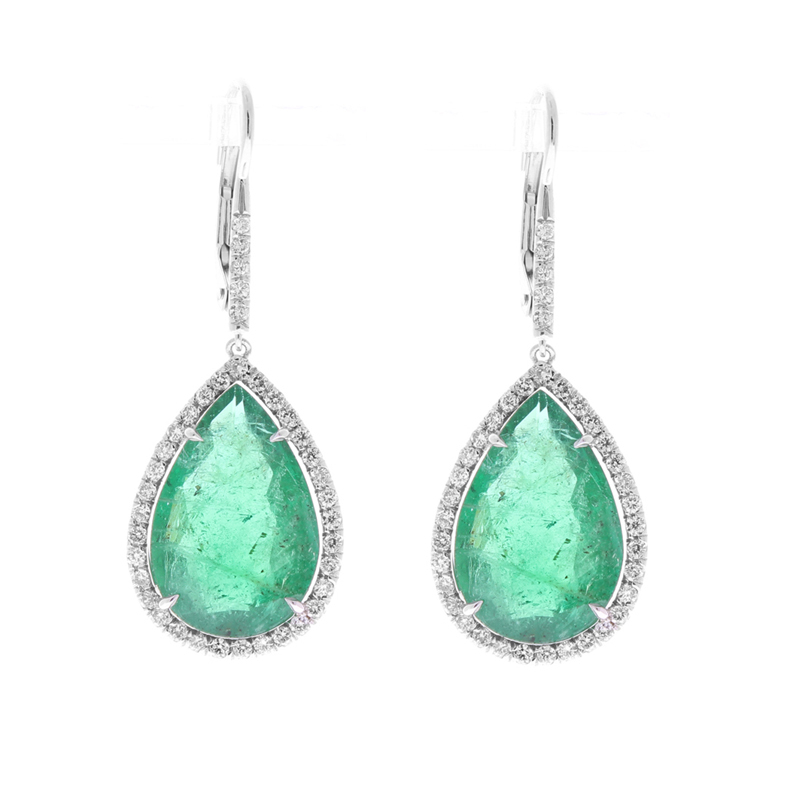 These forest-green emerald and diamond drop earrings will certainly get notice. The stunning emeralds are from Zambia. The pear shaped emeralds weigh 15.93 carat total weight and are PGS certified. Encased in a brilliant halo of 0.94 carats of diamonds and 18k white gold. Both emeralds were cut and polished from the same rough speciman.